No surprises here. US ISPs and cable companies (among many other industries) continue to rock record profits, and instead of investing, just buy back their stock, or sit on the cash. On the technology front, this means that instead of upgrading backbones, or delivering native IPv6, or a higher quality of service, they are deploying stopgap measures. Some examples of this are Carrier Grade NAT (CGN) instead of native IPv6. “Dumb” DVRs that are less programmable, and less usable than some home grown solutions. No investment in technical support. Man-in-the-middle ad networks, DNS hijacking, abusive legislation, and other interference with their customers’ data. As long as the last mile is a de-facto monopoly, that’s just what we’re stuck with. IPv6 adoption continues to double, year on year. Of course, that’s only three years of baseline, but things are certainly moving in the right direction. As this article points out, if this rate continues, more than half of Internet users could have IPv6 within 6 years. This goes along with estimates of IPv6-only customers reaching 20% by 2017. It remains to be seen if this adoption rate can continue. However, events such as Switzerland moving from 3% to 10% adoption in a single month are interesting. They show that a single large ISP can quickly make a huge difference in adoption rates, as they turn up large portions of IPv6 connectivity in large deployment events. I expect Comcast to quickly begin to have a similar impact on US IPv6 availability later this year. This CircleID article calls out some winners and losers in the IPv6 adoption race. My favorite IPv6 (tunnel) provider, Hurricane Electric gets high marks. We’ve had this discussion with our network vendors for quite a while, now we’re talking to the rest of the vendors: storage, cloud services, middleware platforms, monitoring, and security. I predict a rocky next 5 years for the vendors in the the last group. Smaller, more agile, more forward-thinking upstarts are going to make life “interesting” for those folks. You should have “the talk” with your vendors. If they can’t help you move forward on IPv6, you’ll need to find alternatives that can. This will be a social, meet and greet meeting. Come and meet some of the fine sysadmins in the San Diego area. Come out and meet your peers, network, talk shop, grab a bite and/or a beer and celebrate all things syasdmin. LOPSA is an international professional society for IT people of all job descriptions. Our members manage everything from desktops to servers, storage to networks, laptops to supercomputers. Come out and get connected to the rich sysadmin community in San Diego! There, I said it. The so-called “IPv6 transition strategies” are making it harder, more complicated and less secure to deploy IPv6 than just “doing the right thing”. Carrier Grade NAT (CGN) and Teredo (among others) are the last gasps of an IPv4 world, and have no place in the modern Internet. While they may have short-term advantages to network operators, they will cause problems for their end users until they are finally phased out. 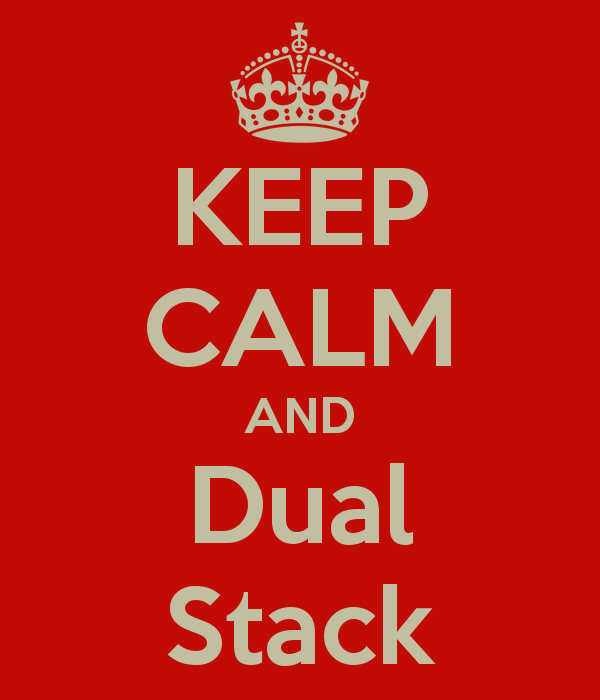 Dual stack would be a better transition process, especially for customers. CGN is, as much as anything else, a way for carriers with a large network or large installed base of end users to make the fewest (and hopefully least expensive) changes in their networks. They are betting that by introducing a small number of large-scale NAT devices on the border between their networks and the Internet that they can avoid making sweeping internal network changes, or upgrading CPE (Customer Premise Equipment). At best, even when working correctly, CGN breaks end-user accountability, geo-location and the end user experience. On top if that, it will slow IPv6 adoption, and force “true IPv6” users to adopt a host operational work-arounds and complicate deployment of next generation mobile and Internet applications. Almost all of the advantages of the second approach [transition to CGN and avoid investing in IPv6 deployment] are immediate and accrue to the benefit of the provider, while almost all of the immediate drawbacks impact the subscriber. The next part of my rant has to do with Teredo, a “last resort transition technology”. Like CGN, Teredo promises to allow end-user equipment to connect to the public IPv6 Internet over IPv4. It does this by “invisibly” tunneling your IPv6 traffic over the public Internet, to a “Teredo gateway”. A Teredo gateway performs a 4to6 network translation and passes your traffic onto the desired IPv6 destination. Teredo is implemented transparently in some Microsoft operating systems and can by default provide an IPv4 tunnel to the outside world for your IPv6 traffic. It can, also provide an “invisible” tunnel from the outside world back into the heart of your network. And of course, all your network traffic could be intercepted at the Teredo gateway. Teredo security has been a hot topic for years, with some concerns being raised shortly after Teredo’s standardization in 2006, and RFC6169 finally providing IETF consensus in 2011. Sadly, Teredo security must still be discussed, even though it is 0.01% of network traffic to dual-stacked resources. Fortunately, there’s a move in IETF to declare 6to4 technologies (including Teredo) as “historic”. Teredo will complicate network security until it is gone. I for one, cannot wait for both CGN and Teredo to be consigned to the dustbin of history. This will be a social, meet and greet meeting. No presentations at this one, but come out and meet some of the fine sysadmins in the San Diego area. Come out and meet your peers, network, talk shop, commiserate and celebrate all things syasdmin. When will WordPress.com support IPv6? Dear WordPress.com, when will you support IPv6? Over the past year I’ve watched more and more web sites come online on IPv6. Some are “the usual suspects”; the high-tech, early adopter sites that you expect to be moving aggressively onto IPv6. Some early adopters have been surprising. While the WordPress software itself works fine over IPv6, WordPress.com itself seems to be a no show to the IPv6 game. In fact, the only mention I can find from WordPress about IPv6 hosting is a blog post from World IPv6 Day in 2011. This blog (hosted at WordPress.com) has a lot of content about IPv6, and I get about one private comment every other month pointing out the irony that the blog can’t be viewed over IPv6. I’d rather not move to Blogger.com (fully IPv6 capable), or spin up my own instance of WP if I an avoid it. So, WordPress folks, can you at least give a timeframe for IPv6 support? Since I’m an architect on a worldwide enterprise internal IPv6 rollout, I *do* understand the challenges involved, and the uncertainty that you might have on a fixed schedule. But could we get at least a comment that “we’re working on it”, or “sometime in Q4 2013”, or “not planning to do this for at least a few years”? You are currently browsing the archives for the the business of system administration category.